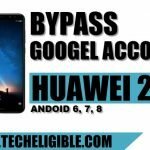 To bypass Gmail Account from Huawei p9, p8, Honor 8, and Huwei Mate 8, has been very easy, if you have forgotten your gmail account and you are unable to bypass Gmail account, so we have some methods to get rid of your old gmail account, and add new one in your huawei devices, we will complete bypass gmail account method by following few steps. Once you switched on your huawei device, you will see initial steps to complete, so let’s start. 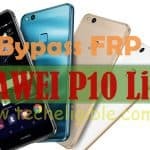 Click here to bypass frp Huawei P8 Lite (2017), P9 Lite. 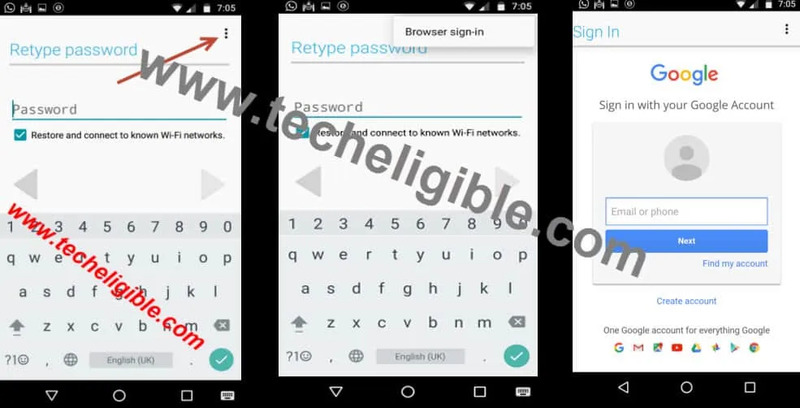 Step 1: Select your desire language from “SELECT LANGUAGE” screen on your device, and then tap to “NEXT”, after that select your region, and tap to “NEXT”, now connect “WIFI” in your Huawei Device., once wifi connected, it will auto redirect you to “WIFI SETTINGS” screen again, now from there tap to “NEXT”, then if you get an popup there of “Allow updates to access SD card” just tap to “ALLOW” and again tap to “NEXT”. Now you will be on “Terms and Conditions” Screen, so now tap on “AGREE’, and then tap on “ALLOW”, after that wait for few seconds, and then you will be asked to put your “GMAIL ACCOUNT”, so to bypass gmail account from here tap on “Enter your email” area. Then type there any word, e,g “Techeligble” and then LONG PRESS on that word for few second, till (CUT, COPY, SELECT ALL) options appear, after these, you will one symbol like that “=”, 3 minus type symbol, just tap on that, then tap on “ASSIST”. for further see below image. tap on 1st search result from there, now tap to “Accept and Continue”, “No Thanks”, and then link page will successfully be displayed on your screen, from that link scroll down, and tap on , tap on 1st result from there, and scroll down and then tap on “Google Account Manager 6.x.x [DOWNLOAD]“, wait till downloading done, then you will have bottom of your screen to “OPEN” that downloaded application. Step 3: So simply tap on to “OPEN” > Tap on Google Account Manager, and try to install, if you get a popup there of “INSTALLATION BLOCK”, so tap on “SETTINGS”, enable “Unknown Sources”, and tap to < back, then again tap on downloaded application “GOOGLE ACCOUNT MANAGER”, and wait until installing process finish, after that tap on “DONE”. 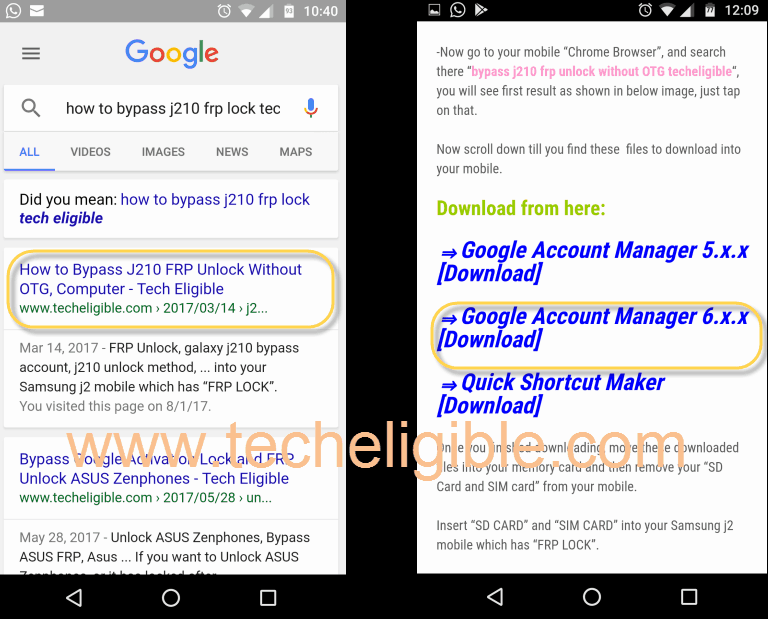 Step 4: Now tap to < back, you will be again on same website link, from where you downloaded “Google Account Manager”, from same link page, download “Quick Shortcut Maker” as well, and then tap to > OPEN > Tap on Quick Shortcut Maker > INSTALL > OPEN. Step 5: Type in search bar “Google Account Manager“, tap on that to collapse more options, and then tap on “Google Account Manager” the one with “Type email and password”, as shown in below image. Tap on > TRY > 3 dots from upright corner > Browser Sign-in > OK > now enter your valid Gmail Account there. Once you added your new Gmail Account in Chrome browser, restart your huawei device, and then you will have initial setup again. 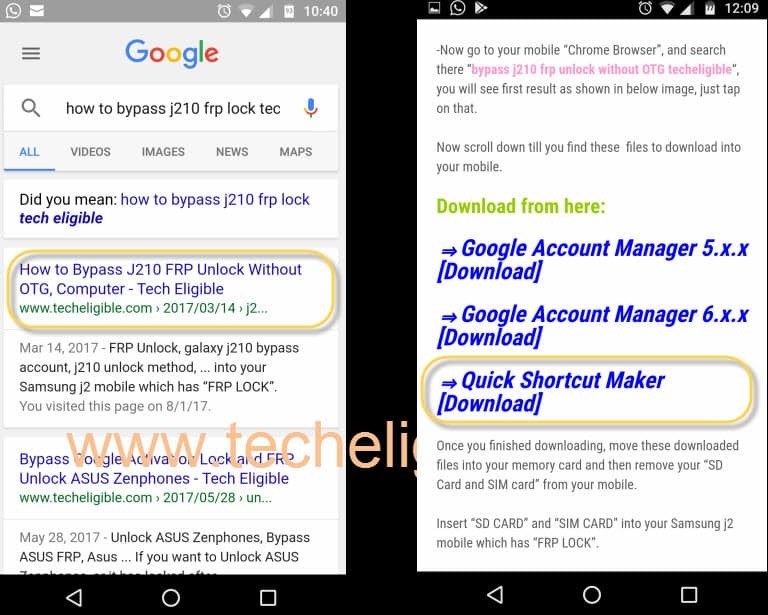 Follow below hints to bypass initial setup. 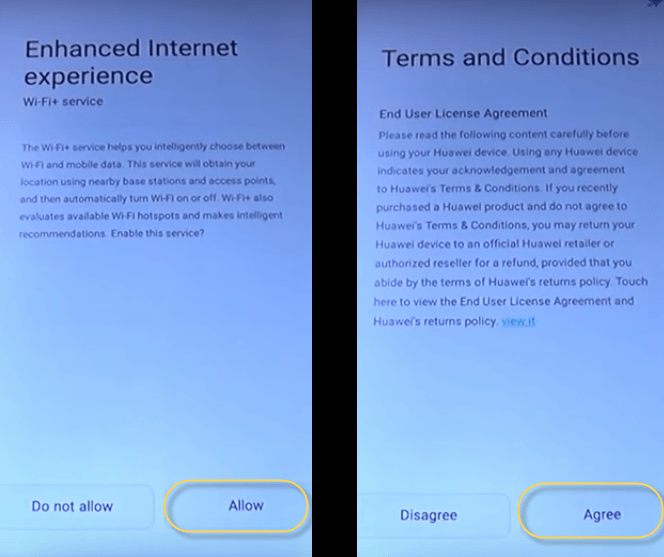 Step 6: Select desire language, and tap to “NEXT”, select your region, tap to “NEXT”, connect wifi in your huawei, tap to > NEXT > AGREE > ALLOW > Do not allow > Allow > Skip > OK > Skip > Begin > Enable. Now you are in your Huawei device, to successfully bypass gmail account, we have to do “DATA FACTORY RESET” our device. 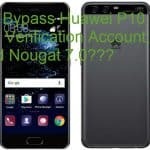 SETTING > Advance Settings > Backup & Reset > Factory Data Reset > Reset Phone, now wait until your device restart successfully, and then you will have initial setup again, now complete your initial setup, and you have finished to bypass gmail account in your Huawei p9, p8, Honor 8, and Huwei Mate 8 devices. 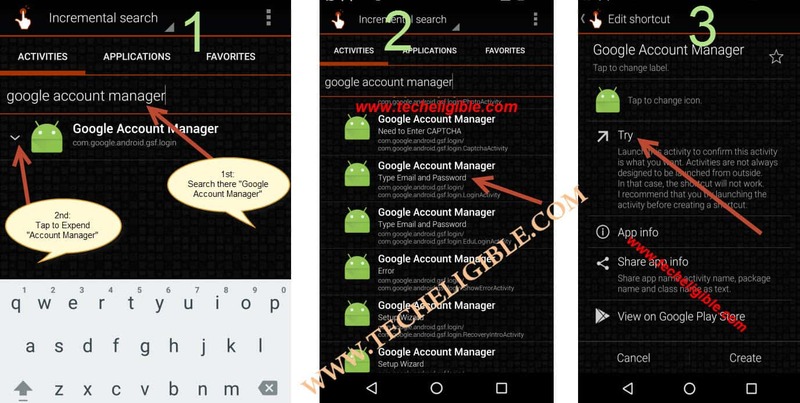 Download 2 Apps from there “Google Account Manager 6.x.x and Quick Shortcut Maker”. Install these 2 apps into your HUAWEI Device. Open Quick Shortcut Maker after installing, and Type in search “Google Account Manager”. Open Google Account Manager, the one with “Type email and password”, top right corner tap to 3 dots, and BROWSER SIGN-IN, enter your any Valid gmail id with password. Restart your mobile, and finish initial setup, and then by going to mobile settings, do data factory reset. What if that Assist is not shown?